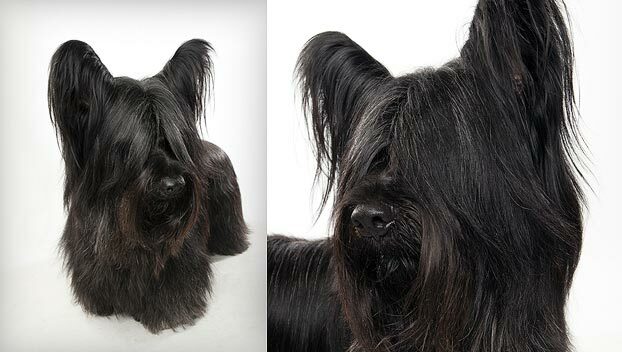 Is the Skye Terrier right for you? Find your perfect match now! Skye Terriers are seriously loyal: A Skye Terrier named Greyfriars Bobby once kept watch over the grave of his master for almost a decade and a half. He is now buried where he kept that long vigil. Hailing from the Scottish Isle of Skye, this breed is among Scotland's oldest terriers, but is also one of the least well-known terriers. Originally from Scotland, this medium-sized and medium-energy breed can grow to between 25-40 pounds and lives an average of 12-14 years. The breed is recognized by the American Kennel Club and classified as a member of the Terrier group. 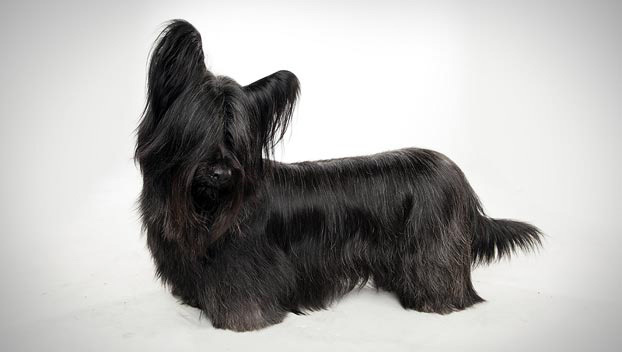 WHAT IS A SKYE TERRIER'S PERSONALITY LIKE? By turns dignified and calm or plucky and stubborn, the Skye Terrier is best known for her devotion to her people. 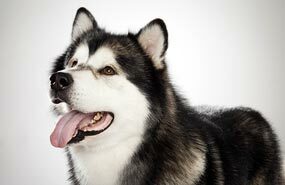 These are good-natured and very affectionate dogs. Their smallish size and terrier-energy levels mean they'll do best if supervised while playing with children or other dogs. Skyes can be wary of strange dogs or humans, and will probably be most comfortable in an adults-only household. 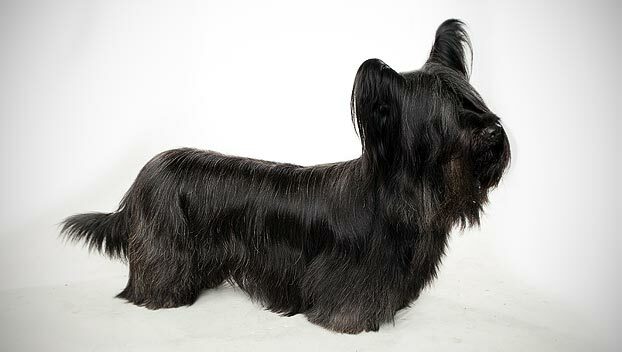 WHAT IS SKYE TERRIER BEHAVIOR LIKE? This is a somewhat active breed, who's happy to accompany you for a long daily walk or a rigorous game in the backyard, then keep you company while you write on the couch. Canny, courageous, and somewhat playful, Skyes are strong and agile working dogs, even if most of the work they do these days is in your garden. Making sure they get enough mental and physical activity will go a long way toward discouraging noisy or destructive behaviors. Like many terriers, these pups like to bark, dig, and chase the cat next door. Discourage nuisance barking and keep an eye on yours if you don't want her re-landscaping your flower beds. HOW EASY IS IT TO TRAIN A SKYE TERRIER? This little dog is definitely independent-minded and can be somewhat challenging to train. Early and frequent socialization will be important to discourage timidity or aggression. Be gentle, patient, and consistent with your furry friend. Some Skye Terriers participate in dog sports like obedience, agility, and tracking; others work in pet therapy. HOW MUCH DO SKYE TERRIERS SHED AND WHAT ARE THEIR GROOMING NEEDS? These dogs have a stylish, elegant look. Those bonnie locks will need several brushings a week to prevent mats and tangles. You'll probably want to find a professional groomer if you want to keep yours in a show coat. Skye Terriers are seasonal shedders. WHAT HEALTH PROBLEMS DO SKYE TERRIERS HAVE? 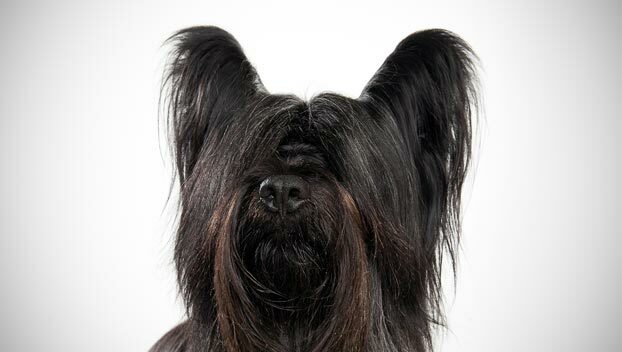 As a breed, Skye Terriers are generally healthy. Some may develop slipping kneecaps or eye disease. ARE SKYE TERRIERS GOOD FOR PEOPLE WITH ALLERGIES? The American Kennel Club doesn't list Skye Terriers among its breeds recommended for allergy sufferers. Remember that no breed is 100% hypoallergenic, and any breed can aggravate allergies. You can reduce your furry friend's impact on your allergies with frequent baths and brushings to reduce loose hairs and aggravating proteins in your pet's dander. Use a damp cloth to wipe off your dog after you've been playing outside. Smaller dogs have less surface area, and so produce comparatively less dander than larger breeds — definitely something to keep in mind with a dog like a Skye Terrier! WHAT IS A SKYE TERRIER'S BEST DAY? Your Skye Terrier is a fearless explorer who meets the world head-on and wants to do so with you, her person. Clip on that leash and let her lead the way — she'll show you how many adventures are waiting just outside your door. SHOULD I ADOPT A SKYE TERRIER? As you might expect from a dog who hails from a Northern Scottish Isle, Skye Terriers thrive in the cold. They're not great in the heat, though. Their small size and moderate exercise needs make them good candidates for apartment living, as long as you can be sure yours is getting enough activity. Loyal and loving, a Skye Terrier makes a true-blue lifelong canine companion. These pups make bold, brave buddies, and will happily tromp with you across the heather, or wherever your adventures might lead you. 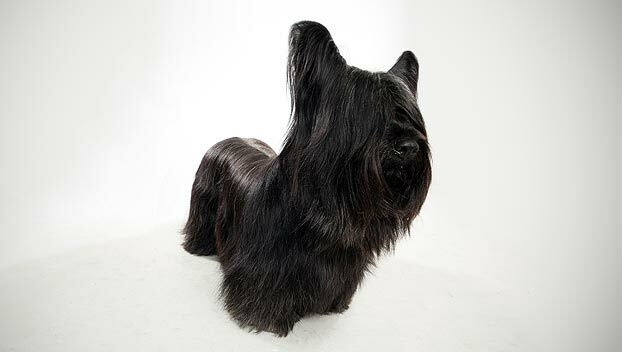 Have you decided that a Skye Terrier is the perfect dog for you? Why not be your new best friend's hero and adopt a rescue! Be sure to check out our article on what to expect when you're adopting a dog or cat.